DEPs heavy engineering offerings cater across agricultural equipment, construction and mining equipment. 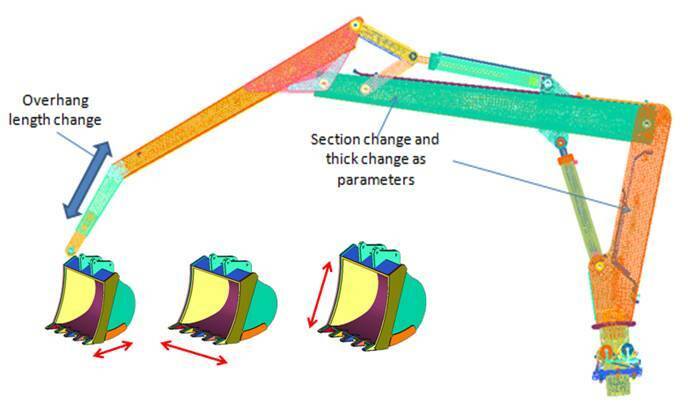 Our mesh modeling tools, morphing tools and parameterization tools have been applied to structures and power train sub systems associated with heavy engineering equipment. 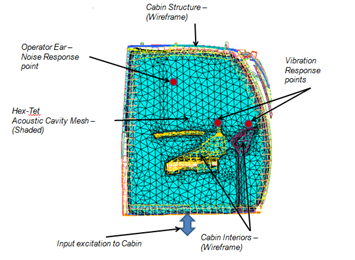 Parametric increase in the width and height of the cabin, considering carryover of parts and manufacturing details in short span of time. Our solid mesh modeling, morphing and design enabler tools help carry our design changes without waiting for CAD data. This leads to fast tracking the product performance evaluation process. The parametric mesh models have been used to optimize gearbox kind of sub systems for heavy engineering applications. 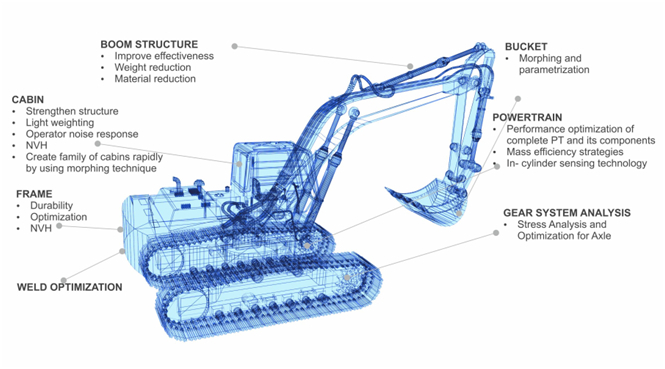 Mesh morphing and parameterization tools have been used to make design changes quickly to the boom structure and buckets of excavators. These are done accounting for manufacturing constraints, and reduce material costs without performance degradation in a rapid and efficient way.